1.Special aluminum alloy mechanism to better understand the operation status of magazines. Stable casting platform structure design, improve the stability of equipment 0.3. Panasonic PLC control, multi-function circuit and program design, performance stability, ensure the smooth and smooth production line. Humanized programming, 4 kinds of PITCH selection, can set the step distance of receiving/transmitting PCB. 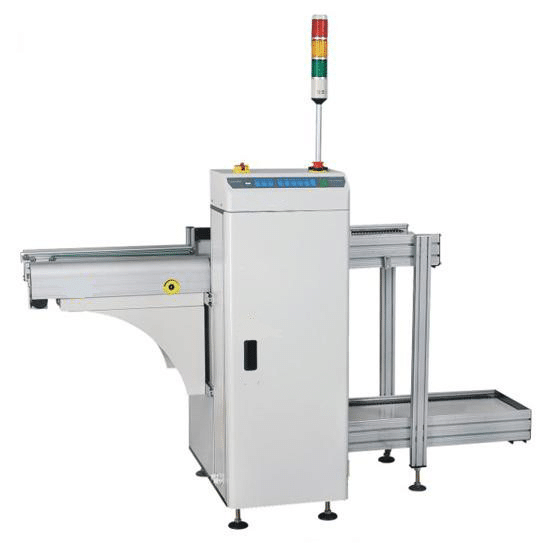 Standard SMEMA communication interface, which can communicate with other automation equipment. The material box shall be transported by the engineering plate. Adjustable push plate speed control. 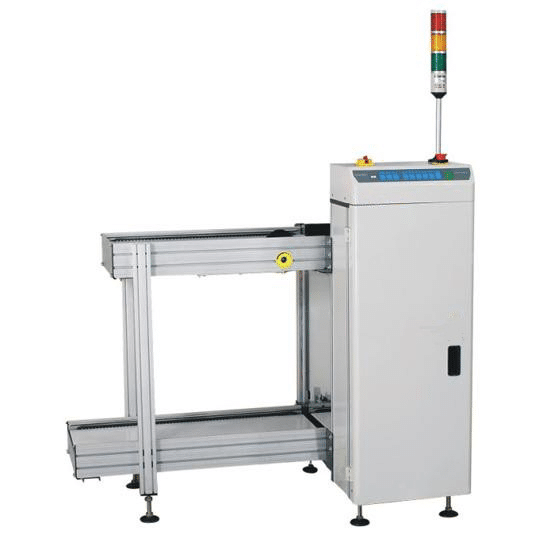 Three-point positioning type upper and lower pneumatic clamping, ensure the location of the material box is accurate. The current design approach to PCBs does not fully account for quantifying efforts toward understanding the full scope of what a PCB design project can cost in its totality. It is valuable to consider the methods established to solve this problem proposed by Gollapudi Ramya and M.Anil Kumar in their study ﻿"μPCBComplexity" featured in the ﻿﻿﻿International Journal of Engineering Research and Applications﻿﻿﻿﻿. 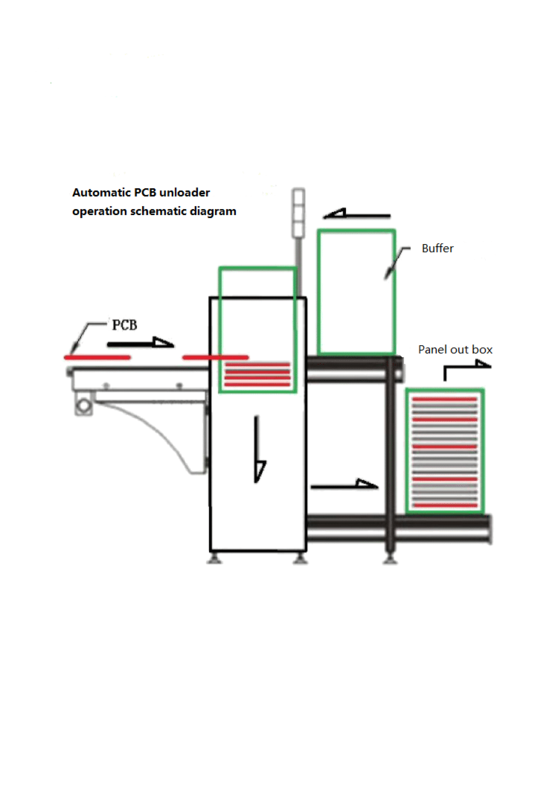 These methods are continually being evaluated, yet there is room for establishing an official algorithm for calculating the efforts (time & costs) for PCB design for your factory. Whereby ρ is a constant measuring design team productivity, per company/team, inversely proportional to S, the aggregate set of statistics that are weighted by (w) a constant associated with it which assigns a weight to the importance of every statistics used in the model. Finally, the factors that contribute to time and costs loss by not pre-calculating PCB design efforts should be allocated and quantified for best practices of design model systems. Only when we can begin to quantify complexity and relate that to design efforts will we be able to mark a designated expected outcome for cost and time. THT Dual Sided AOI (DIP AVI) - Before or after wave soldering, use high speed in-line AOI solution – Applicable for • Before or after Wave solder THT/DIP component insertion check (DIP through hole component) • Optional: Press-fit inspection ability of pressing parts • Optional: SMD component placement test ability.